Fire Emblem: Awakening will be out soon, or it may be out already, depending on when you read this. It’s no secret that I am extremely excited for this game. 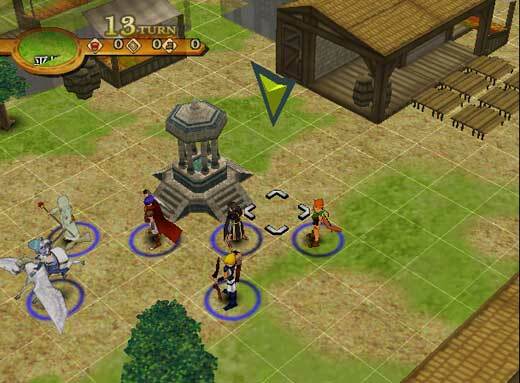 As a commemoration for this event, why don’t we have a look at Fire Emblem’s first 3D game? I’ve always had a soft spot for Path of Radiance. I’ve played it through so many times I know it like the back of my hand. Not only was it the first Fire Emblem game I’d ever played, it’s also one of my favorites. In fact, I used to think that it was the best game in the series. But after all these years how does the sole GameCube iteration of this revered series hold up? Do I think it’s still the best Fire Emblem game ever made? Well…no. And here’s why. Like its predecessors, Path of Radiance follows the plight of a royal driven out of their native kingdom and their odyssey to reclaim it. As a bit of a twist, you don’t follow the royal, but a group of mercenaries who decide to help her out. 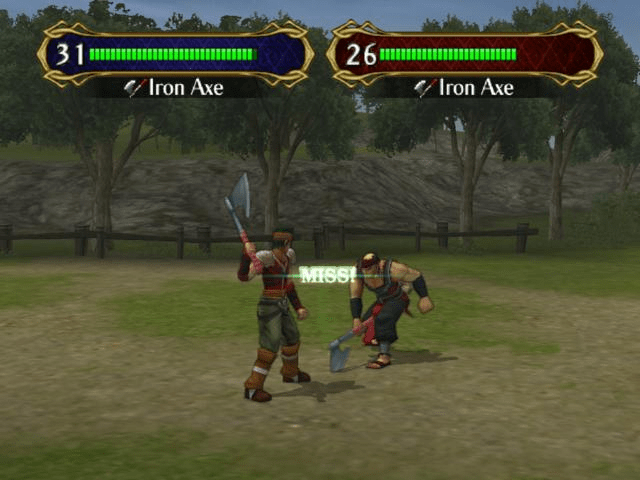 The main character of this mercenary band is Ike, an inexperienced swordsman and son of the company’s leader. In the effort to restore the royal to her lost kingdom, Ike and his fellow mercenaries embark on an epic quest filled with intrigue, betrayal, danger, and circumstances beyond their wildest imaginations. 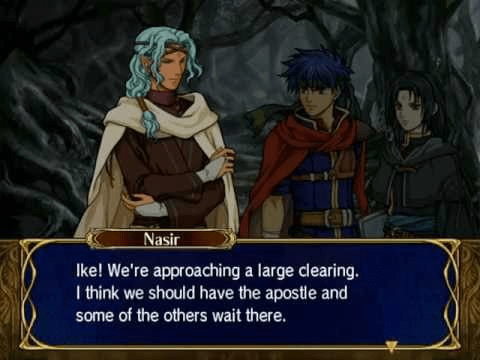 There are several themes in Path of Radiance‘s plot. The most prominent is that of the racial prejudice between the human beorc and the half-beast laguz. Other themes include class distinctions and the pomposity of the ruling class. These themes are expertly woven into the narrative. The plot also boasts a great cast of characters, who can be even further fleshed out through support conversations (which have the added bonus of boosting the two units’ efficiency in battle). The writing is entertaining and well-written. I’d always remembered Path of Radiance for it’s amazing storytelling, and I’m glad to say it stands the test of time. Well, mostly anyway. There are a few complaints I have against it. The first is the way in which it tells that story. Basically, characters are 2D drawings with the text appearing in a box beneath them, a format I shall hereafter refer to as “talking heads”. The problem is that these “talking heads” don’t make much of an effort at animation. Aside from the occasional blink and their mouths opening and closing whenever they talk, they remain unmoving. Even their emotions remain more or less static. Ike, for example, looks pretty angry no matter what’s going on, even when the text imparts otherwise. I suppose this is a complaint that can be directed at the series as a whole as the “talking heads” format has been used in every Fire Emblem game that I can think of. I’d almost be willing to forgive the Fire Emblem GBA games this flaw on the grounds of hardware limitations. But, this game is on the GameCube; they could have done so much more with it, even all the way up to fully animated CGI cutscenes. To be fair, the game has a few those anyway, but they’re short and don’t carry the narrative very far. Even making the “talking heads” more animated or maybe throwing in some voice acting would do wonders for the game. Another problem I found with the story was its plodding start. The first few chapters of the game are spent fighting random bandits, skirmishes that don’t advance the plot in any way. It does spend this time developing the first few characters you encounter in the game, but it would have been better to do so in a way tangent to the main story. One final complaint I have is with Path of Radiance‘s main antagonist: Ashnard. Overall, I’d say Ashnard was a pretty one-note villain. He lacks the sympathetic portrayal that other villains in the series, even in Path of Radiance, generally have. He does get a bit more back story in the sequel, Radiant Dawn, but it only serves to further his character as power-hungry, moral-lacking madman. Still, Ashnard does make for a particularly intense boss battle. 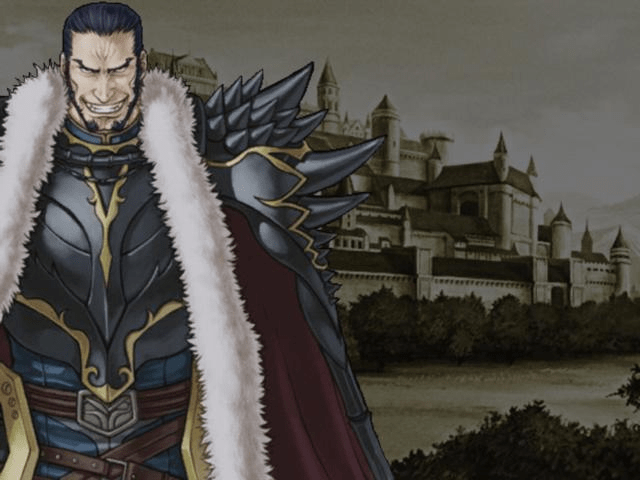 He may not be the best Fire Emblem antagonist, but there’s no denying he certainly looks evil. Whew, I’m glad that’s over with. Trust me when I say it wasn’t easy bashing this game so harshly. But, these complaints aren’t really major. Path of Radiance is still an amazing game, so let’s talk about what makes it such a great experience. It keeps the best parts of Fire Emblem tradition alive. Players are still commanding a small force of units against a much larger horde of enemies, using steel, sorcery, and strategy to attain victory. There are a variety of units to command, each with their own unique skills and traits. Mounted cavaliers are probably the most prolific unit-type. Their speed and balanced stats are sure to be an asset, as well as their ability to move after taking an action. Knights move slower than average, but have incredible defenses. Mages can deal impressive amounts of damage while not being able to take much of it themselves. One new unit type introduced in Path of Radiance, are the half-beast laguz. While incredible fighters in their beast form, they can only retain that shape for a limited time before transforming into their impotent human forms. The Skill system was vastly improved from previous entries. You can assign certain skills to units via scrolls that are found as you progress through the game. This adds a new layer of strategy as you can pair skills on the same unit for a deadly combination. There are also Occult scrolls, which bestow an especially powerful Skill to a promoted unit. However, there is a limited amount of these Occult scrolls, so it is best to save them for your best units, particularly Ike, as his Occult skill is almost mandatory to beat the game. Of course, there’s the perma-death feature, which has two-fold applications. For one thing, it makes the death of a unit far more poignant. 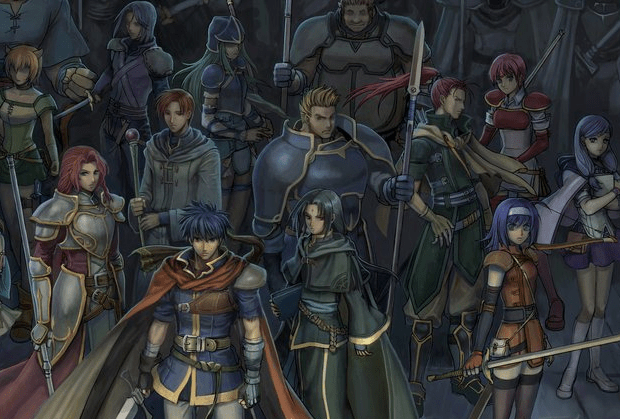 Unlike other strategy RPGs, your units in Fire Emblem aren’t just faceless killing machines. When one of them is killed and disappears for the rest of your game, you’re losing a virtual human being, a personality with hopes, dreams, quirks, loves, and fears. It also allows players to determine the game’s difficulty. Sure, you can select between Easy, Normal, and Hard when the game starts. However, even Easy mode can be pretty challenging if you go into it determined to keep every character alive. If a character dies, you can restart the game, but you’ll have to do the entire level over again. It’s up to you to decide whether the life is worth it; whether you should go back or go forward without them. Guide your units carefully. One life is all they have. As with other Fire Emblem games, Path of Radiance has an incredible amount of replay value. As I mentioned in the beginning of this review, I’ve played this game many times, and every playthrough has been unique. In my most recent playthrough, for example, I used a particular character I’d never played with much before. He turned out to be a pretty powerful asset for my team, and made a terrific support partner for one of my favorite units. There are just so many units to play with, support partners to develop, and secret conversations to find. Even with all my many playthroughs, I doubt I’ve seen even a fraction of what this game has to offer. 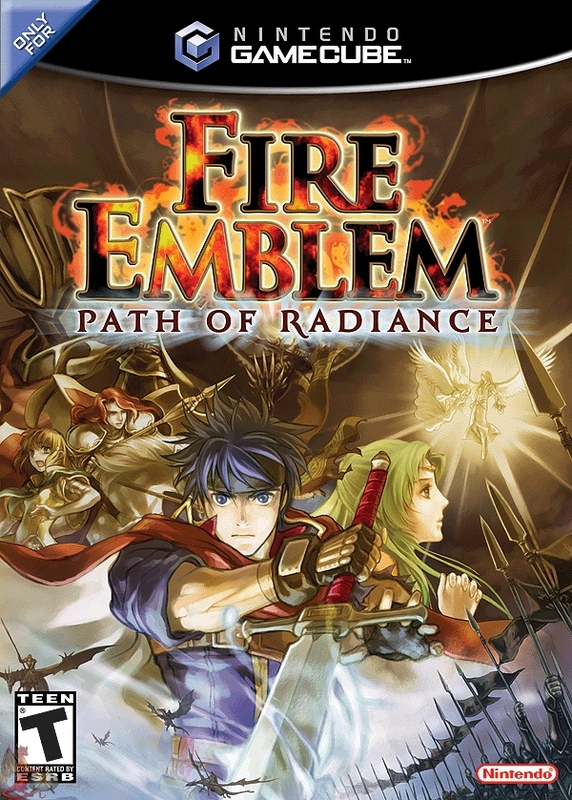 Path of Radiance may not stand as the best Fire Emblem title as I had previously thought. That honor goes to Sacred Stones, at least in my opinion. The game’s story is held back by the “talking heads” format. Its antagonist is a bit under par for this series. But that doesn’t change the fact that Path of Radiance is an incredible game. It’s still one of the best in the series and it’s still one of my favorites. And I don’t think it’s hard to see why.